1. We've all heard of Point-of-View (POV) and Deep POV, but Immersive POV? Donald Maas posts at Writer Unboxed on the subject. 2. 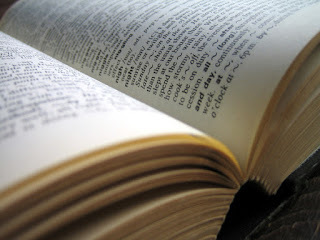 Donn Taylor posts at Author Culture on Writers and the Power of Definition. When talking or writing about any subject, how we define our terms is critical to communicating our worldview. 3. There are all kinds of lists: Bestseller lists, Best Looking Person lists, but there's one list a nation should never be on: The Persecuting Nations List. For the first time since it started, the United States is on that list. Hopefully, it will be temporary. Read the article here. 4. Adelee Russell, of Rewritten, allows us into her thought processes and her heart. The revelation she received of God's love for her and the freedom we have in Christ is life changing. Writers: Did you know what "Immersive POV" was? What did you think of the article? Readers: If you're a blogger, what inspires you?